A crisp white kurti is a wardrobe staple and every girl owns one of them . Holi is coming soon and the best way to celebrate holi is by wearing white. You can wear a white tunic, t shirt, saree or a shirt. The best way to dress for holi is with a white kurti which goes with the traditional theme of the festival and is also comfortable to play around with colours . If you want to celebrate Holi in style without opening your wallet too wide here are some fresh, fun and young white kurtis to choose from, all under Rs. 1000. You can check out the ongoing Jabong sale and these amazing snapdeal offers too to save more. This hemline and the dash of pink is enough to get people interested in this sophisticated kurti . the collar, sleeve detailing floral back make this kurti modern with a touch of tradition. Shree is one brand i favour because of its affordability and comfort and this black and white kurti is perfect festive wear with a touch of embroidered colour on its v neck and hemline. This simple white kurti is made fancy with a purple koti like detailing with tassel tie up in front. Pair with a legging and you need no other accessory to go with this statement tassel kurti. 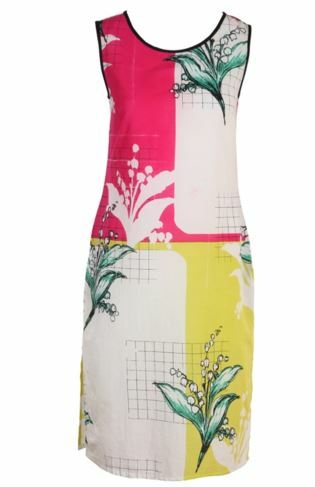 Dont want to play holi yet want your clothes splashed with colour try this nobel sheen cambric kurti from w for woman. want a full white kurti which is stylish too? 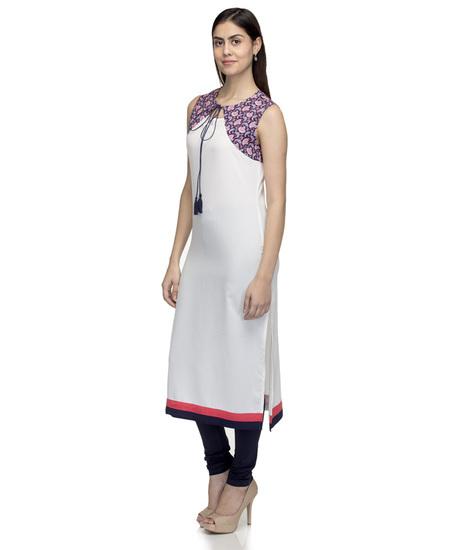 this is for you, a solid poly viscose white kurti with sheer detailing on neck, sleeves and hemline. Which kurti do you like the most?